SAF Board of Directors - Shufflin' Along LLC. 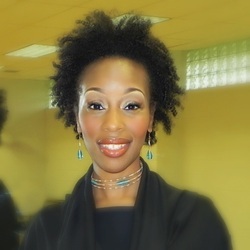 Angelique is the Founding Artistic & Managing Director of Mahogany Ensemble Theatre, resident theatre of the M.E.C.C.A. Foundation and Founding Producer of the Southern Black Theatre Festival. She is an award-winning artispreneur--actor, director, speaker, teaching artist, talent coach & mentor with over 20 years combined experience in the cultural/performing arts and education. Angelique is the recipient of the 2012 '15 Under 40 Top Young Professional Award', 2012 'SRAC Regional Theatre Artist Fellow', 2012 'G. Scott Griffin Award', 2011 'American Association of Community Theatre Outstanding Actress/All-Star Cast/Outstanding Production, and the 2009 '40 Under 40 Honoree'. She is involved with various civic organizations and currently serves as President of the Shreveport Mayor's Women's Commission. Angelique is a proud graduate of Centenary College with a B.A. in Speech, a minor in Theater, and a Masters in Education Administration, and is currently pursuing a Doctorate of Education in Leadership Studies at Louisiana State University-Shreveport. 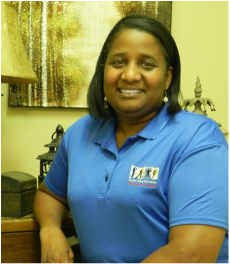 She is also the coordinator of theSouthern University Museum of Art at Shreveport. Angelique is a native of Detroit, MI and was raised in Haughton, LA. She currently resides in Doyline, LA with her family. Dr. Kimberly Cooks, DBA, a native of Alexandria, LA, began her "dancing" career over 40 years ago when her aunt, Mrs. Mildred C. Davis, a dance teacher at the local Junior High school, realized Kim's memory for movement was well developed beyond her years. Enrolled in tap, jazz, ballet and African by the age of 3, Dr. Cooks excelled and went on to teach and choreograph for churches, weddings, dance lines, studios and special events. Kimberly is the daughter of the late Paul David and the late Marjorie B. Cooks. A graduate of Grambling State, Upper Iowa University and University of Phoenix, Dr. Cooks holds degrees in Management and Business Administration. She is currently the Controller for Byrd Regional Hospital in Leesville, LA. Dr. Kimberly Cooks is the proud mother of two young adults and a member of Delta Sigma Theta Sorority, Inc. 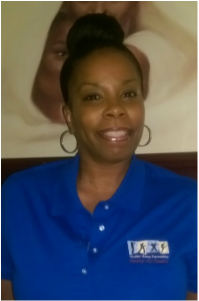 Currently an Instructor at Christian Dance Center, Dr. Cooks works diligently with the Liturgical MADD Company. Rachel Ann Markray McGee-Johnson is the wife of Aaron S. Johnson and the mother of three children, Coby (15), Janie (11) and Joseph (10). She is the Owner/CEO of Chronicles of Numbers, LLC, which is a Louisiana-based Limited Liability Company located in Shreveport, Louisiana. She obtained her Bachelor of Science degree in Accounting from Centenary College of Louisiana and a Master’s degree in Business Administration from Strayer University. Rachel has more than eighteen (18) years of accounting. She began her Accounting career as an Associate Accountant with KPMG Peat Marwick, LLP and later, as a Senior Accountant with Roberts Cherry Group. Rachel also gained valuable experience as the Chief Financial Officer with the YWCA of Northwest Louisiana and as a Budget Analyst/Compliance Officer with Southern University. 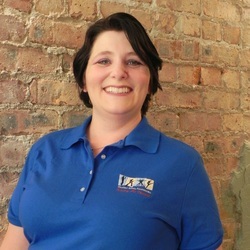 Katrina O. Boden is the owner of Superior Counseling Services, LLC. SCS, LLC is an accredited behavioral health rehabilitation agency with locations in Shreveport, Ruston, and Farmerville, LA. 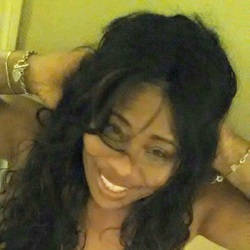 Katrina is also the owner of Superior Business Services, LLC and Business Innovators, LLC both located in Shreveport, LA. Superior Business Services provides administrative services and training for businesses and their staff. She established Business Innovators as a means to mentor professionals and invest in business start-ups and systems for success. She is not only a native of Grambling, Louisiana but is a proud graduate of Grambling State University with both Bachelor’s and Master’s Degrees in Elementary Education. She is also the founder and executive director of a non-profit organization called Education International. Ms. Boden has also earned a Black Belt degree in Martial Arts and has been a member and teacher of several dance groups. She currently resides in Shreveport, LA. Jennifer is a native of Pocahontas, AR who now resides with her husband and daughter in Plain Dealing, LA. She is one of the founding members of the Randolph County Theater of Performing arts. Jennifer trained in acting at Arkansas State University under Terry Huckabee. She has been in several films/recently played the role of Squeak in the Southern University production of The Color Purple. Jennifer is a founding member/ former dance captain of the The Gems of Cairo Middle Eastern dance troupe. She is currently working as a RN/Infusionist. For a brief bio on Roshanda, click here.